Getting your finances in order can be very difficult, but not impossible. In fact, there have been many people who have set themselves up for financial success just by creating new habits they practice at the store or when paying bills. And thankfully, these are habits that anyone can adopt to have the same sort of success. So read these over, and let us know what you think! 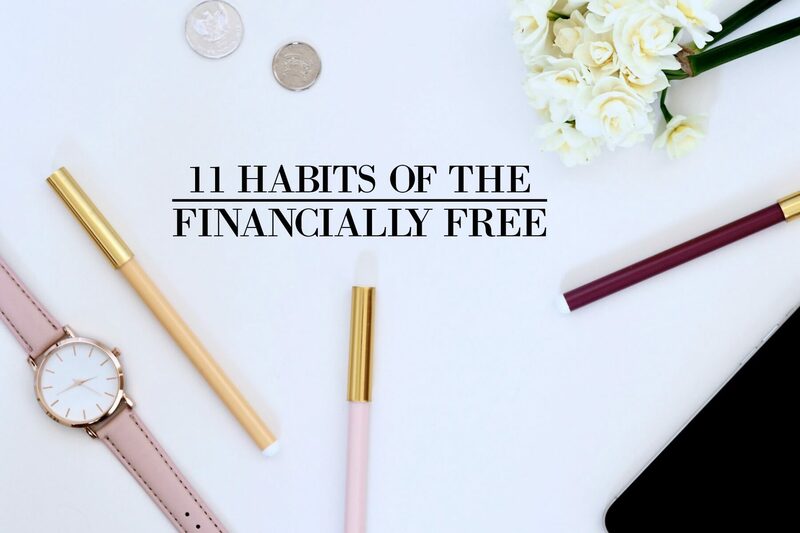 Becoming financially free means you need to create a budget, and refrain from spending more than you earn. If you keep having to rely on using credit cards to pay for things you don’t need, you’ll never achieve financial freedom. The average American household has a total of almost $6,000 in credit card debt, which means that they’re supporting and promoting the growth of card companies´ net worth and not their own. If you can’t afford it, then just don’t buy it. You can easily generate more income and become financially free by working for yourself or getting into a new field. And if you don’t have any additional knowledge or experience to use, you can take a class and learn skills to start a new career. You’ll never be able to accumulate wealth if you continue to pay high interest rates on your balances. Start by paying off debts with the highest interest first so that you can move onto your less urgent loans. Before you start spending your paychecks on things you don’t need, set aside a fixed amount to be placed directly into your savings account whenever you get paid. You can easily set up automatic transfers within your bank to start building your wealth. Many people seem to forget that having a good credit score is important because it can help you save money on interest rates, insurance premiums, and more. These reduced rates for things besides cars and houses really adds up and prevents you from overspending. The rainy day fund is something discussed frequently, but the traditional rainy day fund needs a revamp. Make sure your rainy day fund can cover emergency costs like a deductible for a car accident or medical emergency. It’s quite common to want to purchase the latest and greatest to keep up with the neighbors, but living frugally now will help you build the perfect nest egg for your retirement or your children. These small sacrifices now will pay off later on. When you begin to plan and dream of your savings, you may be overestimating how much you’ll be able to save and this can set you up for disappointment. Create a realistic savings plan so you can work towards small but achievable goals. If you’re keeping your home properly maintained, you will save a lot of money and avoid paying off costly repairs because things weren’t being looked after. The same can also be said for your cars and appliances. Becoming financially aware and independent requires a lot of work, and as such, it’s recommended to review your budget monthly. By performing a monthly budget review, you can see month to month changes and your successes. It can be hard to start the road towards financial success, but it’s definitely worth it. So start implementing these tips and let us know how it goes over the months!